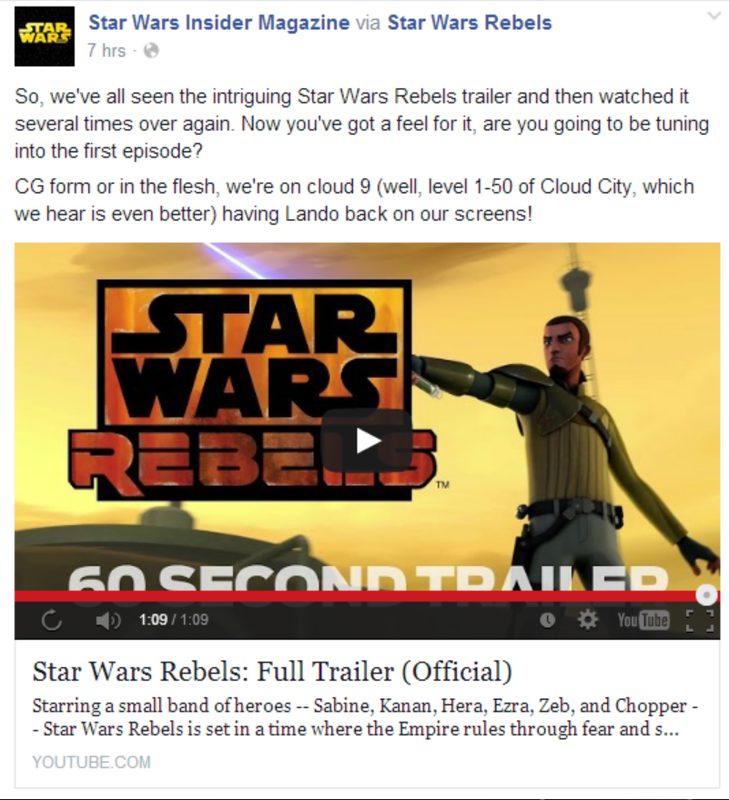 Star Wars Insider Facebook Page Implies Lando is in Star Wars Rebels. Star Wars Insider on Facebook just said they’re “on cloud 9… having Lando back on our screens!” Is Billy Dee Williams in Star Wars Rebels? They appear to be saying Lando is back on our screen via Star Wars Rebels. Do you buy it? There have been so many slip ups about Lando being in this show over time, I am starting to believe he must be. I think it would be unusual for Star Wars Insider to make the announcement.